The textile and garment industry, aiming to take advantage of free trade agreements (FTAs) with a focus on green manufacturing, is upbeat about earning US$60 billion from exports by 2025. Last year the industry earned $36 billion in exports, up 16 per cent year-on-year, making the country one of the world’s three biggest exporters of textiles and apparel, according to the Viet Nam Textile and Apparel Association (VITAS). Vu Duc Giang, chairman of VITAS, said the association this year set a target of $40 billion in exports, up 11 per cent year-on-year. 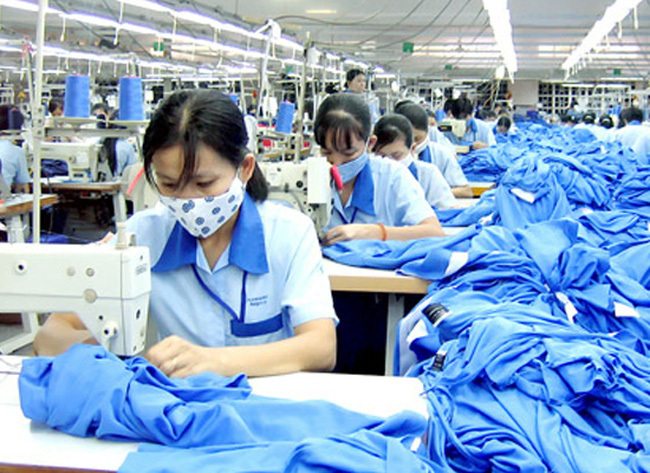 This year the Comprehensive and Progressive Agreement for Trans-Pacific Partnership is expected to boost the development of many industries of Viet Nam, including the textile and apparel industry. The industry is also expecting more orders to shift from China to Viet Nam due to the ongoing US-China trade war. Viet Nam is participating in 16 FTAs. Ten out of 12 signed agreements have been enforced, including the ASEAN Trade in Goods Agreement, the ASEAN-China FTA and the ASEAN-Korea FTA, while the two remaining, the CPTPP and the ASEAN-Hong Kong FTA, have not yet come into force. The FTAs that Viet Nam has signed all have environmental barriers with higher green standards, which require enterprises to improve not only product quality but also production processes. Giang recommended that Viet Nam should continue its efforts to ensure environmental protection in manufacturing to become a “sustainable supplier of choice” of textile and apparel. “Implementing a shared responsibility to respond to the 21st century's biggest global challenge, Viet Nam and the international community ratified the Paris Agreement on climate change in 2015. And the textile industry is part of that commitment,” he said. Marc Goichot from WWF-Greater Mekong said that greening the textile sector in Viet Nam would help achieve its wider goal of addressing river governance and energy sustainability, which are top global environmental concerns.